I’ve been helping out a busy friend by doing her grocery shopping and preparing dinner meals for her. She and her family members live gluten free. 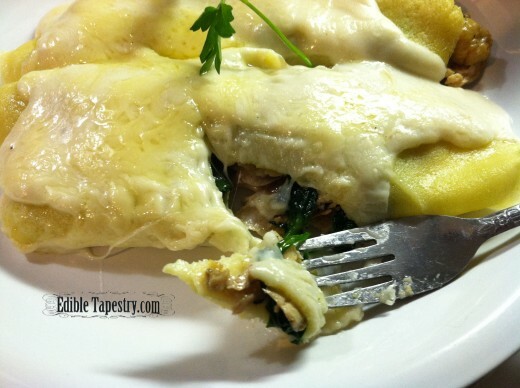 I’d planned to make these stuffed crepes for them. To ensure that my crepe recipe would translate to gluten free without any hitches, I did a dress rehearsal using my fellas as guinea pigs for the dish. One problem I ran into was the texture of the batter. I used King Arthur gluten free flour which has potato flour in it. If you’ve ever made slime with your kids using water and cornstarch, then you know what it was like dealing with my gluten free crepe batter. The flour sinks to the bottom, stiffens, and must be frequently stirred. 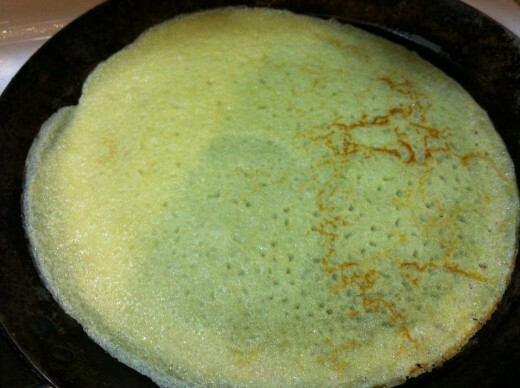 Another problem was that the crepes tended to be too thick because of the flour. 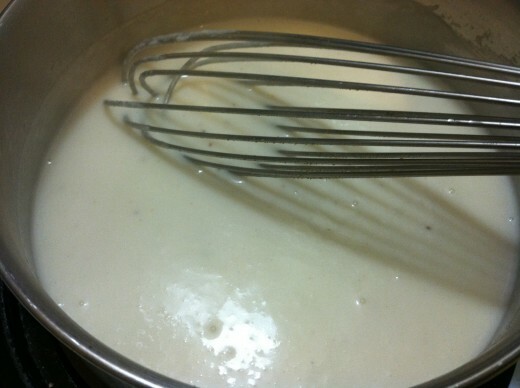 I added water several times to keep the mixture thinned out to crepe batter consistency. Still, when I went to roll them, some of the thicker ones resisted and cracked. I used to use broccoli and chicken in this dish, but since my friend keeps the dishes I make in the oven until her family is ready to eat, I was worried about the broccoli overcooking to mush. 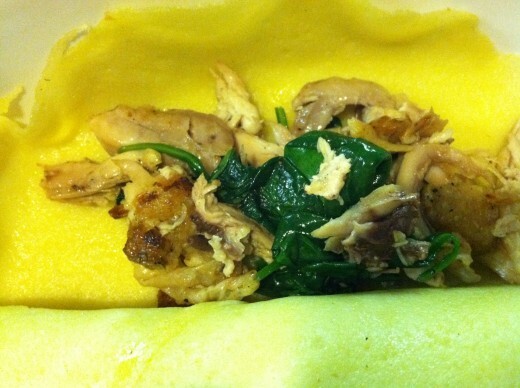 I switched it out for spinach for my trial run and the finished crepes were fabulous. It’s so nice to know that if we feel the need to stay wheat free for a longer period of time, we have options for more interesting meals when we want something rich and creamy for that occasional splurge. 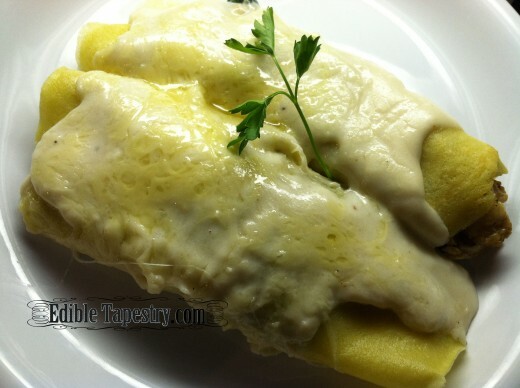 For the filling, I used the Basic Crepe and Bechamel Sauce recipes which I have posted on the blog, but substituted gluten free flour in each. Oh, and I must add that…today is one year since my husband’s heart attack. Such a happy day with only brightness ahead! Grill the chicken. Cool and pull it into small pieces. 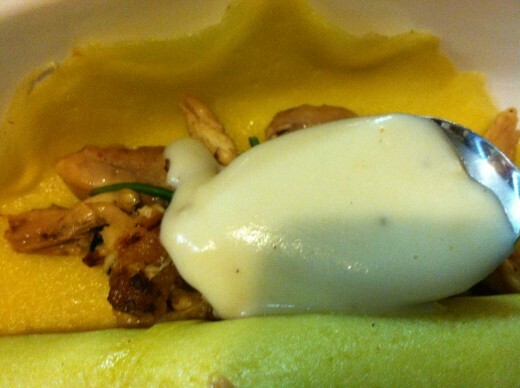 Prepare the Bechamel Sauce. 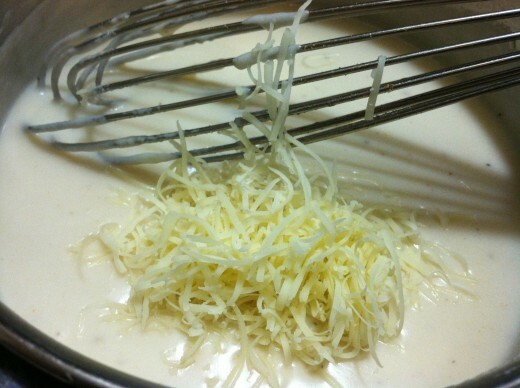 Stir in 1 cup of the Swiss cheese. 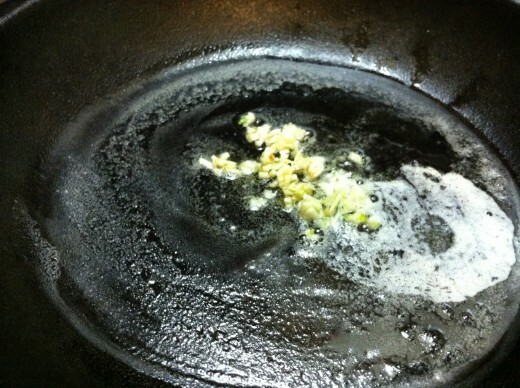 Heat oil and butter in a heavy skillet. Add the garlic. Sweat. 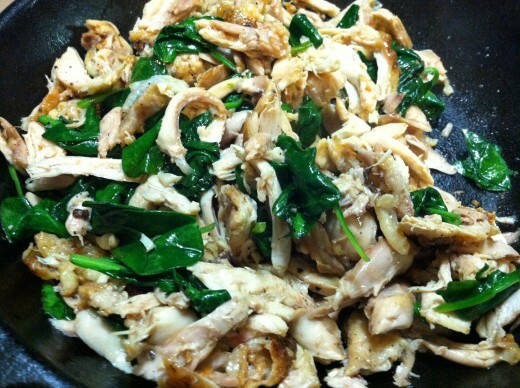 Add the spinach and saute just until wilted. 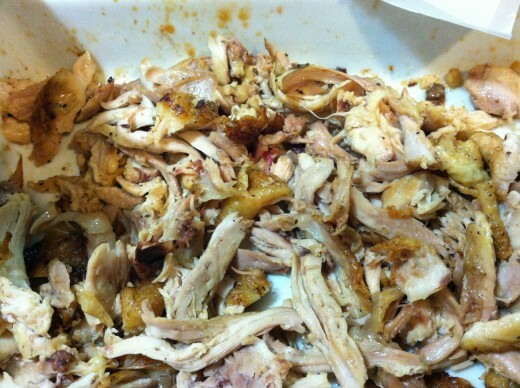 Toss in the chicken to reheat. 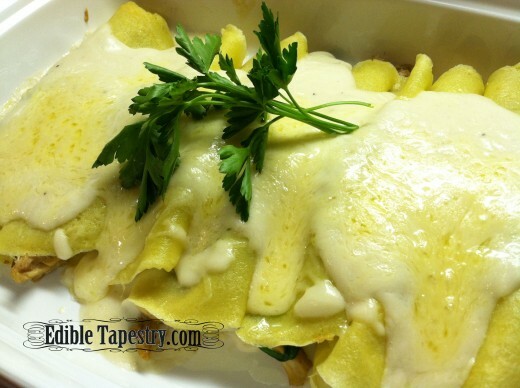 Lay out the crepes in the bottom of a 13×9″ baking dish. 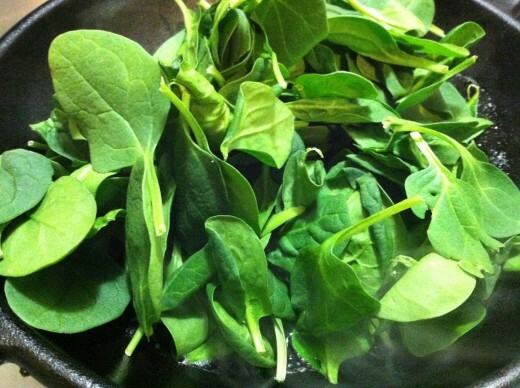 Fill each with 3 T of the meat and spinach mixture. 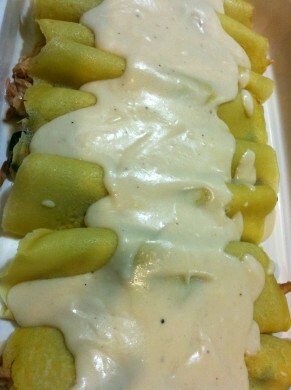 Spoon on 2 T of the Swiss bechamel sauce. 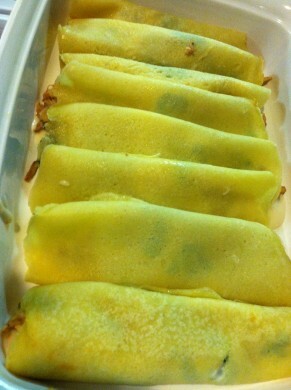 Roll up the filled crepes and lay them in rows. Sprinkle on the remaining 1 c. Swiss cheese. 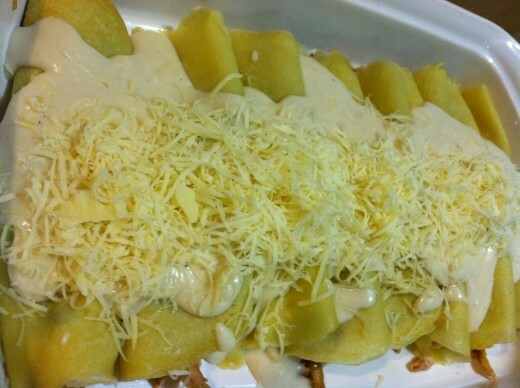 Bake for 15 minutes, until the sauce and cheese are bubbly.